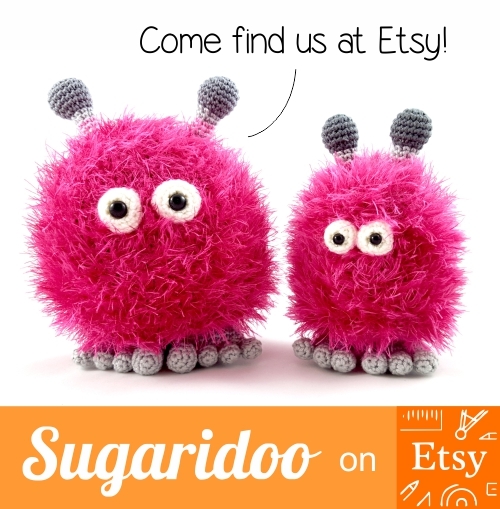 Part two of Fridays Favorite Five is all about Etsy shops. There is so much prettiness going on over there on Etsy! Just a bunch of creative people designing and making happy stuff. What more could you ask for? So as a crafty start of the weekend, here are five of my favorite Etsy shops. One of the first shops I noticed when I first browse Etsy a long long time ago was Knitting Dreams by Aintzi. 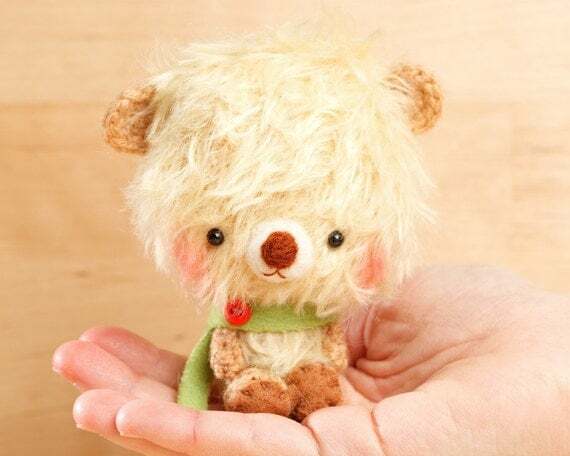 Those bears … they are so cute and tiny and have you seen their little scarfs? 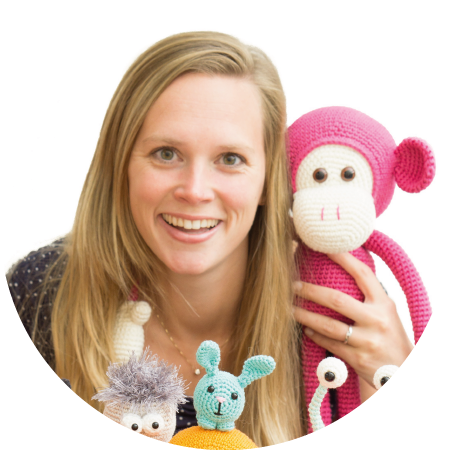 She makes amigurumi miniature bears, but also bunnies and pandas. Some of them have a cool hat, or a dress. 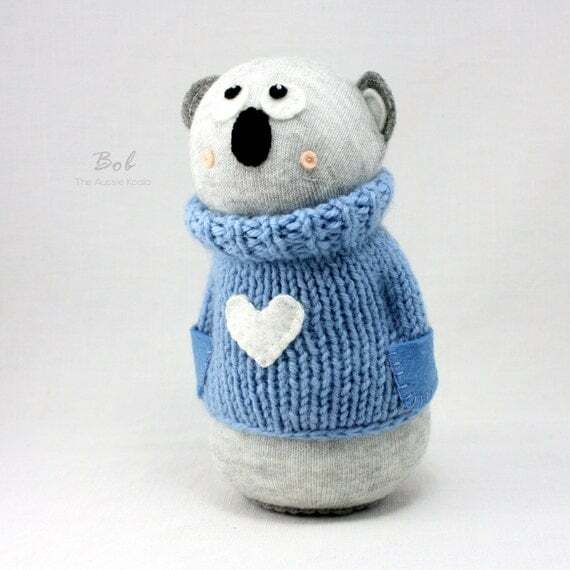 They all have their own name (This little fellow is Ilu) and will be specially made to order for you. Just recently I discovered Mim’s Instagram account with unbelievable cute sock dolls. (Her Instagram is really a happy place, you should check it out!) You can find the sock dolls in her Etsy shop Sew in the moment, and she has a blog too. Every figure she makes had an own personality and story. This is what she tells about Bob: “Bob is a good Aussie Bloke. He loves living in the suburbs and he is an Electrician by trade. He volunteers with the SES (State Emergency Service) and he really loves operating the chainsaw for them.” Don’t you just want to adopt him? 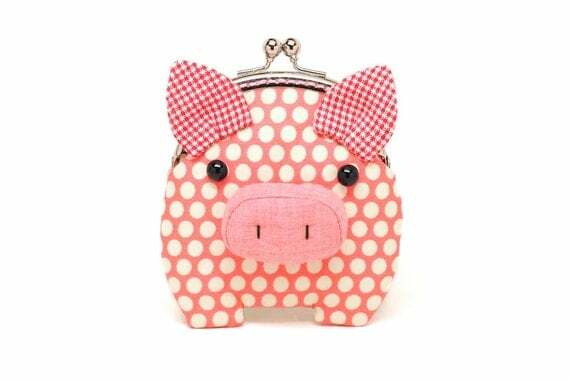 Have you ever seen a cuter purse than this one? Michelle and her husband Sanford from Misala handmade make the most pretty and adorable purses ever. I love the polka dot fabrics and happy colors that are used in all the designs. My favorites are the little piggies and the whales. They are so perfectly made, where better to keep your coins than in such a cutie? Another multi talented designer I found on Instagram is Anke from Anke Panke. On DailyAnke on Instagram she shares one comic/illustration about herself everyday, just awesome. She’s an Illustrator and graphic designer, I really like what she makes! In her Etsy shop you’ll find books, planners, stickers, cards and cats. She also designs fonts, which you can find in her shop called Fun Font Shop. 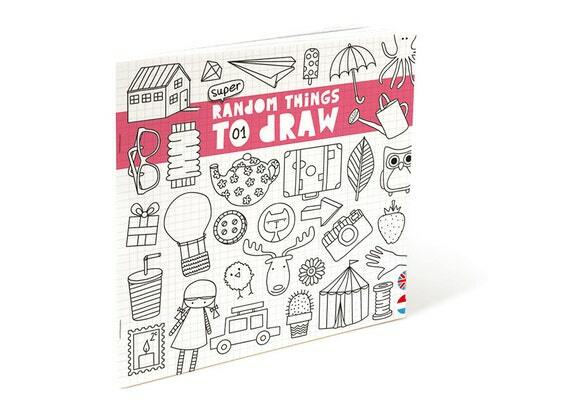 The book “Random things to draw” helps you to learn to draw random things like a balloon, a light house and a sock monkey. Timor from TIMOHandmade is a very talented doll maker. She has a large collection of handmade dolls, patchwork bags, doll house dolls and x-mas decor items. 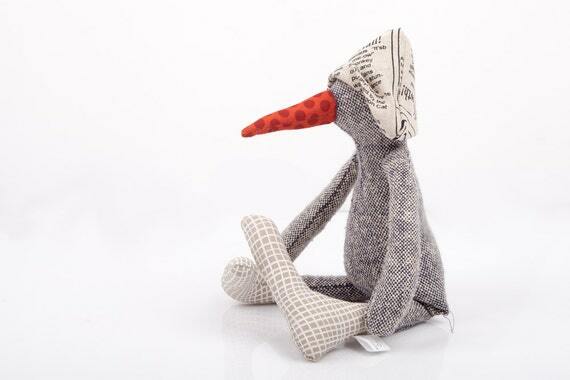 I especially love the mouse, rabbit and bird dolls. They are so awesome with their long arms and huge feet. This little chick doll is part of the Ducks & Birds dolls series that includes rare birds, chicks, ducks and penguins. Don’t you love his little paper hat? Go check out the other animals in this lovely shop and on her website! 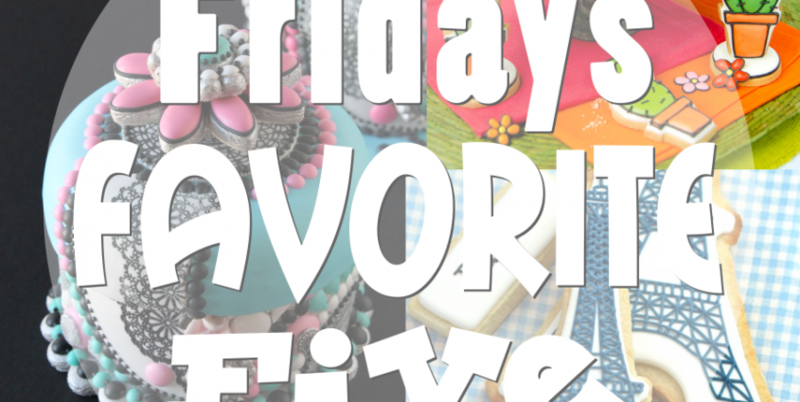 Today a new series will start here at Sugaridoo: ‘Fridays Favorite Five’. Every other Friday I’ll give you five of my favorite things like five favorite cupcakes, five pretty quilts, sewing patterns, lovely wedding cakes, fabric shops, sewing supplies, awesome amigurimi’s and many more favorite fives. I’m looking forward to sharing these with you! I would like to start this series with something sweet. Long time ago this blog was set up to share my baking creations with my friends and family. So I thought it would be fun to start this series with some cookies. These are my five favorite cookies designers. Sweetopia inspired me to start with cookie decoration, I just love what she makes! Such amazingly cute cookies. You can find a lot of tutorials and tips on her website Sweetopia.net. 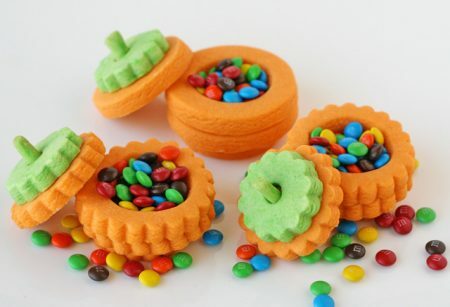 Sweetsugarbelle is just the best in using cookie cutters in a creative way to make cookies. 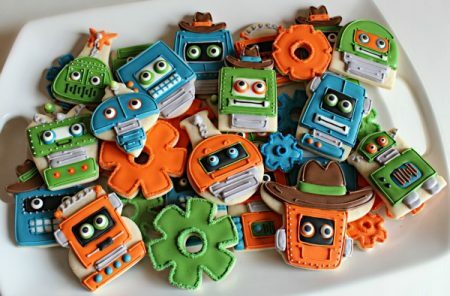 Look at these robot cookies. Not one of these cookies was made with a robot cookie cutter. (Just follow the link to see what cutters where used!) Pretty awesome right? 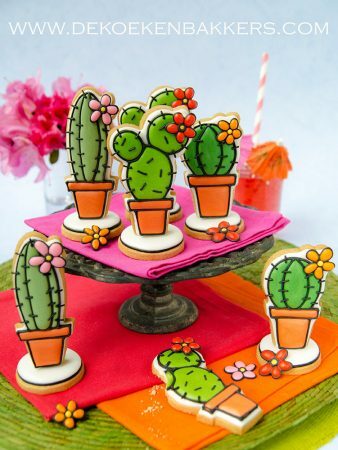 These cookies are just so very adorable, I didn’t know I loved cacti so much. But hey, how cute are these? They are made by De Koekenbakkers, super talented cookie decorators from Holland. They make their own cookie cutters, you can find them at the 3DCookieCutterShop. You can also order cookie cards from their websites, such a creative idea. 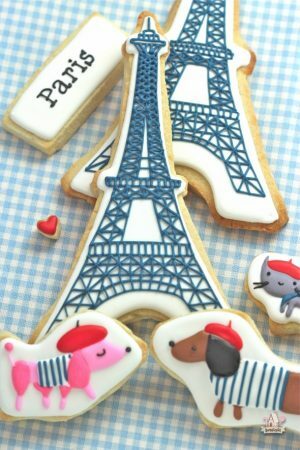 How lovely would it be to receive cookies as a postcard for you birthday! These 3D pumpkins where made by Glorious treats . As the name suggests, she make just the most glorious treats. Cupcakes, cookies and cakes, all of them totally pretty. These 3D cookies are so clever, with a little treat inside of them. Take a look at the tutorial to see how they were made. Julia Usher takes cookie decoration to a whole different level. 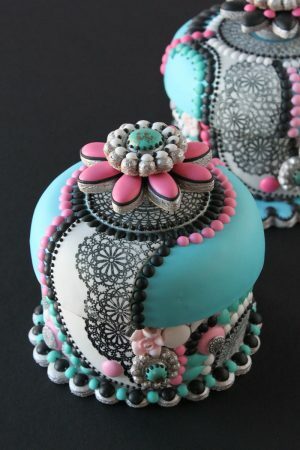 I am amazed by her talent, baking 3D cookies, how awesome! She builds 3D cookies that are just stunning. In the image above you see a close up view of her mosaic box with appliquéd details. You can find tutorials and more inspirational projects on her blog and youtube channel. I hope you enjoyed all these stunning and cute cookies. Have a lovely weekend!